When Mercy Housing Resident Services Coordinator Eddie Zacapa held a leadership meeting with tenants at the White Rock Village apartments recently, they determined a priority was to fix up the family youth room — a white-walled common area that has been the site for the summer free lunch program for the complex’s approximately 200 children and maybe some meetings here and there. The room will get a fresh coat of paint April 10 and Zacapa hopes to fill it with a new TV and maybe a foosball table. 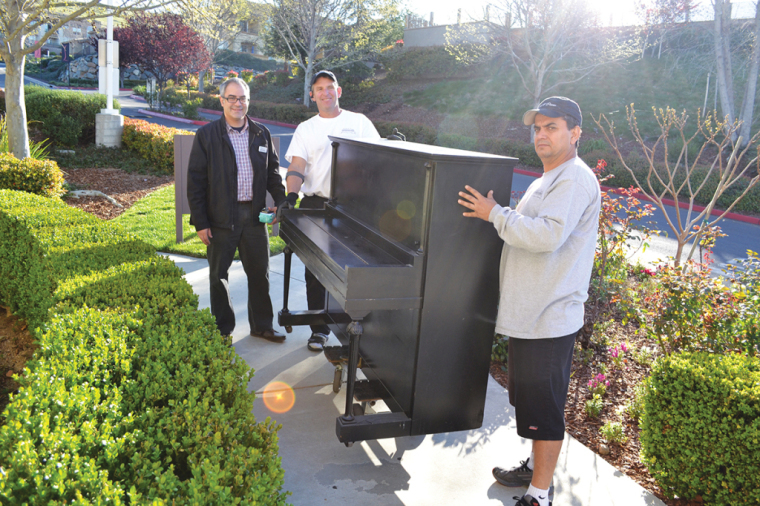 AAA Piano owner Steve Stokes stepped in and donated his time and truck to move the piano to its new El Dorado Hills home. An anonymous donor, choosing only to be named as a member of Vintage Grace church, donated the rest of the moving costs.